Yesterday after many weeks I went into the city which was so nice as I didn't have my sister with me. I mostly just wondered around so didn't buy much even though I saw a couple of bags that I liked so decided to think about it and go back later to buy one of them if I decided I really liked them. When I came home there was an envelope waiting for me and I had no idea at first who it was from especially since I wasn't expecting anything. It was from one of my friends surprising me with not one but two really cute letter sets and its not even my birthday or anything so that was really nice as well as a really nice postcard of France... lushes greenery makes me so jealous but best of all was the super duper long letter which I really enjoyed reading all curled up and snug... 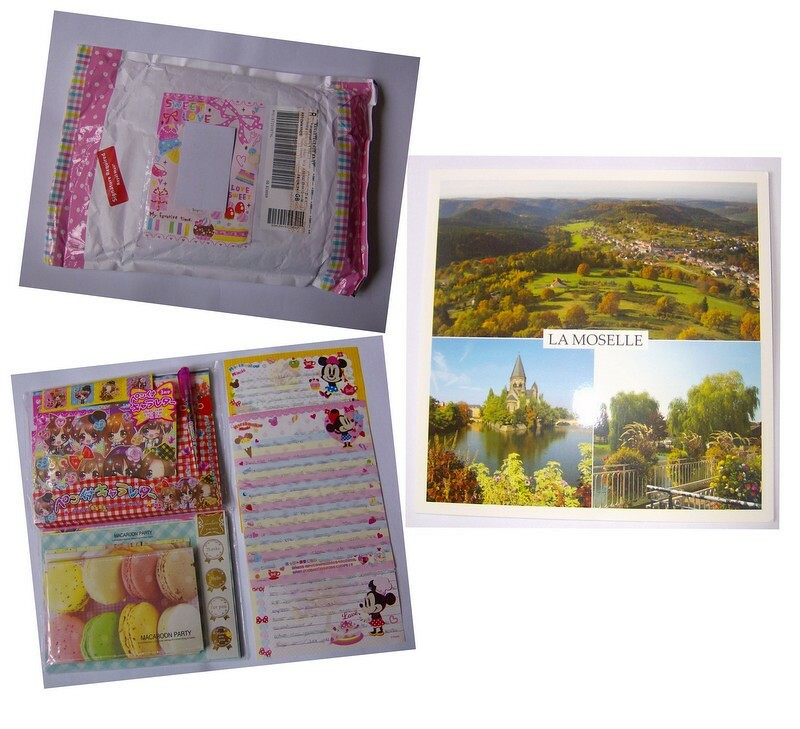 Isn't that Mickey Mouse and Co stationery just the cutest? I very rarely show my letters but I just had to with this one. Have you received any nice mail lately or Any nice surprises? It was nice to get something so unexpected and I can't wait to use them. I would love some in the UK but its hard to tell if we'll have much in common this way. it ended up in the junk mail, its because for this e-mail address it comes straight to my phone so I get it the minute you send it.